A service level agreement (SLA) is a contract between a service provider and its customers. As such, it specifies services to be rendered and performance standards to be met. Some of those standards and services pertain directly to the cloud based call center when they concern items like response times to inbound calls and first call resolution (FCR) rates. SLAs also become important when considering consent—especially the rules and regulations governing prior express versus prior written consent. Why Are Service Level Agreements Important? Service level agreements (SLAs) are important for a couple of reasons. First, they establish metrics for service—a critical point when trying to determine the impact of cloud contact center solutions. The only way to know improvements are occurring is through establishing standards and corresponding metrics. Second, SLAs offer opportunities for comparison. A call center agency with an SLA, for instance, might compare its efforts against a competitor. Then again, the agency might use its results to attract and retain customers. It can directly tie better customer service to the SLA and subsequently use the data as a selling point. Third, service level agreements manage expectations and outline instances where an agency isn’t liable. An example lies with customer data. A service level agreement dictates how data is used and explains when and why an agency cannot be held responsible for it. Fourth, an SLA for an online service, such as the cloud based call center, details system infrastructure and security standards. The agreement may also govern a customer’s right to request an audit of an organization’s compliance—with the growing concern about data security and privacy, this aspect of SLAs is not to be ignored. Fifth, the service level agreement sets the ground rules for behavior. The best parallel may come from the world of crisis communications. By establishing a plan, or SLA, that guides responses, agencies can mitigate risk and proactively manage situations like a surprise influx of calls during the holidays or an election. What Are the Different Types of Service Level Agreements? Service level agreements (SLAs) were once fairly straightforward. The cloud has changed that reality somewhat. Today, several types of SLAs govern interactions. The IBM Knowledge Center numbers the types at three. 1. Customer service level agreements oversee interactions between an organization and its customers. 2. Internal service level agreements guide interactions within the workplace, such as the IT department’s role in monitoring and repairing the network. 3. Vendor service level agreements occur when an organization works with a third party to perform a critical service, such as customer service or accounting. Depending on the company, one, two, or all three SLAs might be implemented. A healthcare organization, for example, might have an SLA that guides patient care; an internal SLA that outlines how different departments work together; and a vendor SLA when using a third-party customer service platform to serve patients. How Can Cloud Contact Center Solutions Help Organizations Meet Their Service Level Agreements? 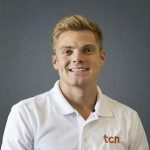 Cloud contact center solutions like TCN’s help clients meet not only their service level agreements but also increase customer satisfaction and loyalty. Using TCN Platform 3.0, customers who call in always receive prompt, courteous service. From Interactive Voice Response (IVR) technology to skills-based call routing and blended call flows, customers and agents keep wait times minimal and connect clients to the right agent at the right time. Outbound efforts, either for sales or debt collection, also improve with TCN’s cloud based call center. TCN’s features automatically prevent calls to people on the Do Not Call list and avoid making contact between restricted hours. But those are only a few of the possibilities TCN proffers, so schedule a demo today to learn and see how the cloud based call center helps organizations make their service level agreements.